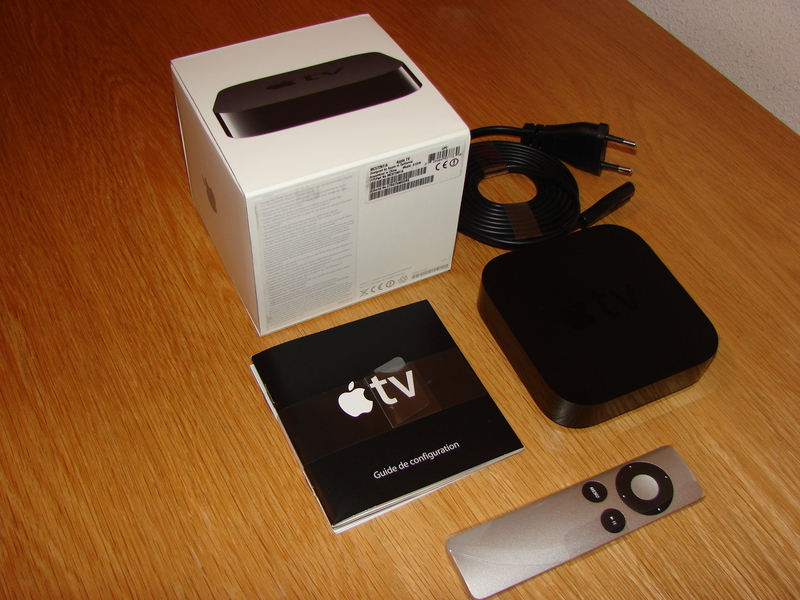 Because I want to play more media formats (which the Apple TV doesn’t support) from my NAS instead of iTunes I will test a jailbroken Apple TV2 with XBMC. 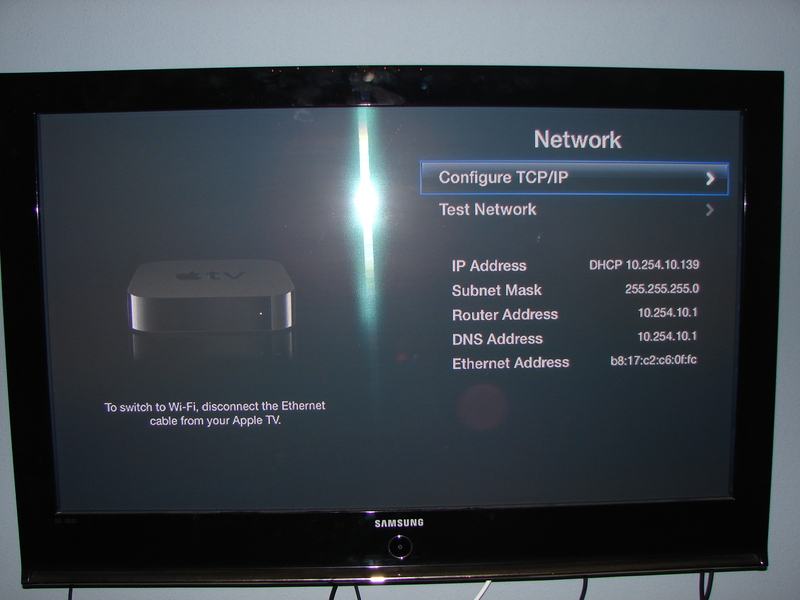 In this post I’ll describe how to jailbreak the ATV and install XBMC. First unbox the ATV, as we are expecting of Apple it is packed in a nice little box containing a power cord, remote, user manual and of course the ATV itself. Please notice that it’s not shipped with a HDMI cable to connect it with your television! First we need to jailbreak the ATV, jailbreaking isn’t illegal but Apple announced that the practice “can violate the warranty”. You can find more background information about jailbreaking iOS on Apple devices on Wikipedia: iOS Jailbreaking. Download and install before you start the latest version of iTunes from http://www.apple.com/itunes/download/. 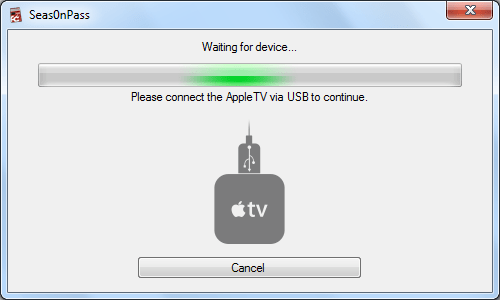 You also need a micro-usb cable to connect the Apple TV to you computer. For the jailbreaking I’ll use the jailbreakingtool Seas0nPass. Download it from http://files.firecore.com/SP/Seas0nPass-win.zip for Windows (or http://files.firecore.com/SP/Seas0nPass.zip for mac), extract the archive and run Seas0nPass. 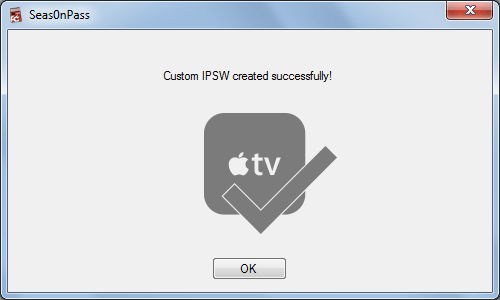 On the main window of Seas0nPass click ‘Create IPSW’, Seas0nPass will now download the latest Apple TV firmware and patch this file with the jailbreak. 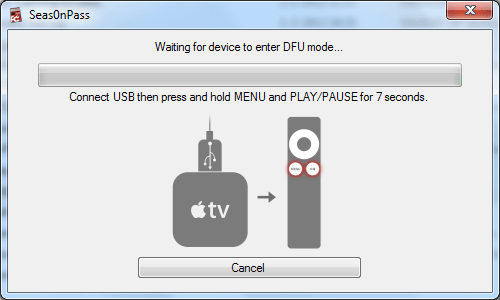 After the preparation of the firmware Seas0nPass will ask you to connect the Apple TV to your computer using the micro USB cable (only connect the USB cable and not the power cord!). Now it’s time to enter the ATV into DFU mode, in this mode it’s possible to load the modified firmware onto the ATV. The first time I tried I failed to get the ATV into DFU mode, I’ve solved this by disconnection the USB cable and reconnect it again. Then I’ve waited 5 seconds and connected the power cord, after about 20 more seconds I’ve hold the MENU and PLAY/PAUSE buttons on the remote and Seas0nPass detected the device in DFU mode. The normal mode probably failed because my laptop’s USB-port gives not enough power, maybe this problem wont occur on a normal desktop system. 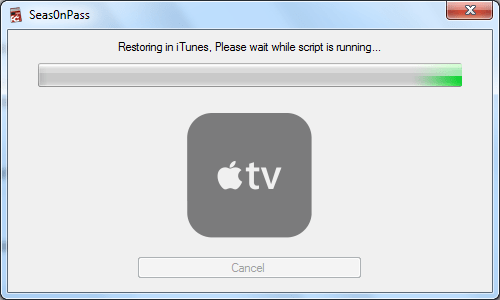 Seas0nPass will now start iTunes and perform a scripted restore of the custom firmware onto the ATV. Don’t close iTunes during this process! iTunes will notify you when the upgrade is complete, also Seas0nPass will display a ready message. 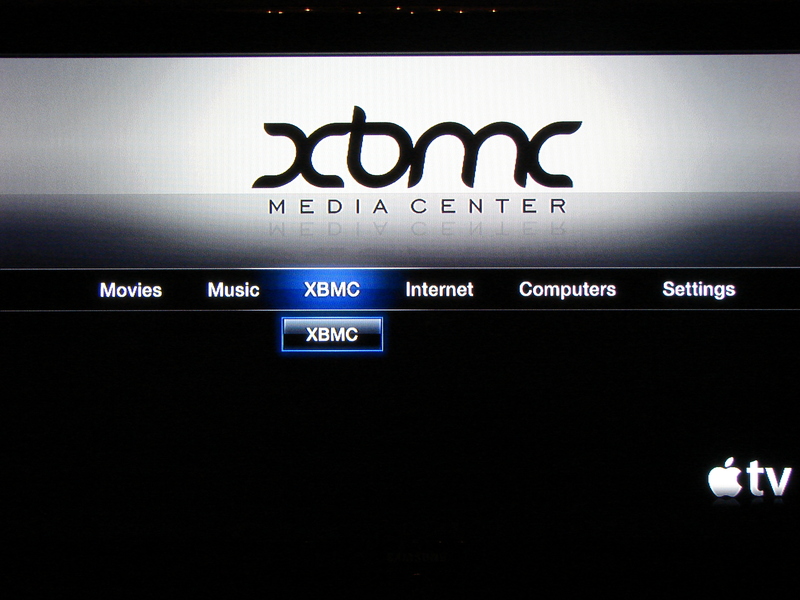 Now the ATV is jailbroken we can install XBMC on it. First connect the ATV to your TV and the network. Follow the instructions on your TV to setup the ATV. After the firstrun setup we need to know the ip-address of the ATV. You can find this in ‘Settings’, ‘General’, ‘Network’. 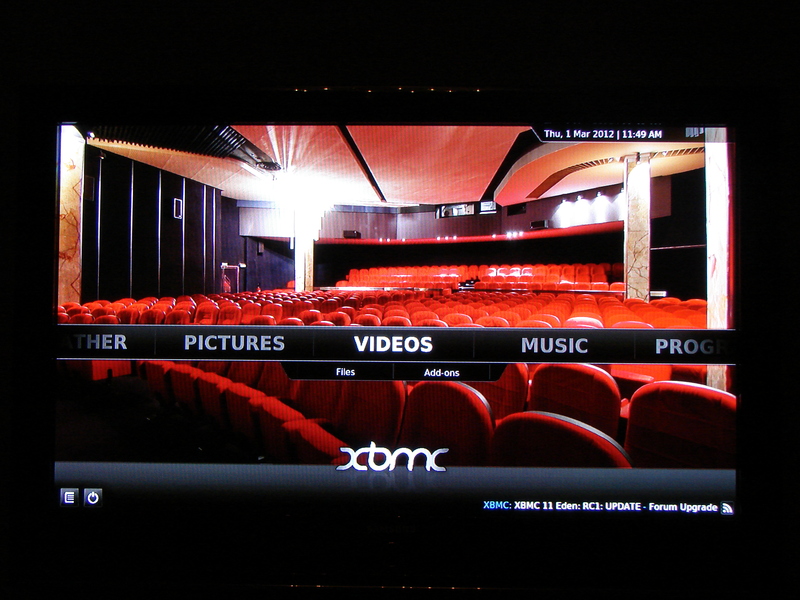 After the reboot of the Apple TV XBMC is added to the menu and you can start exploring the great features of XBMC media center right on your Apple TV. I will write a followup article about how you connect your media. Enjoy!